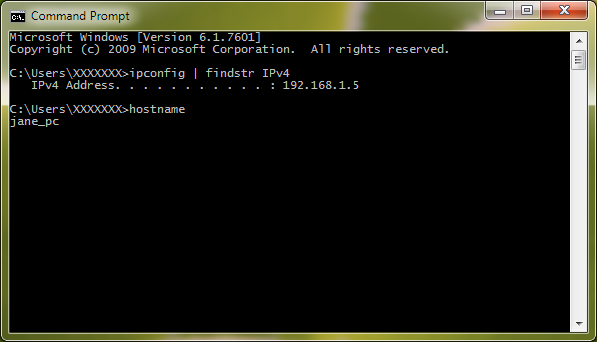 Once command prompt window is opened, type in 'ipconfig | findstr IPv4' as shown. 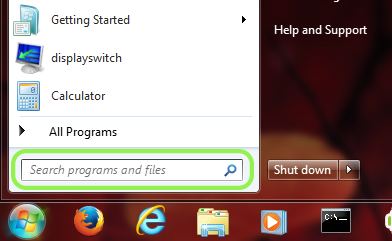 To show the name of computer, use the 'hostname' command as shown. In this example, it is showing '192.168.1.5' as the IP address and 'jane_pc' as the host name.